After a long shift yesterday (6am-4:30pm), my hubby treat me to tea. We just went to a cheapy 2 for £10 place, him being on a student budget, but it was still nice to spend some time together not in the house. Our lives are totally different and pretty full-on, I work 40+, unsociable hours a week and he is a trainee teacher so our paths never really cross. I can't wait until the summer when we will have a little more time together to do fun, cheap things. I'm currently planning the almost perfect trip to London, which may involve camping on his best mates floor..never the less I'm sure it will be fun. My hectic lifestyle is defiantly playing its toll on my skin. I've mentioned before I have spot-prone, sensitive skin and have to be pretty careful with what products I use. I had some sample last week of Keihl's skincare, I was sooo excited to give them a go after talking with the girl at the beauty counter, but it didn't go well. I used a foam wash and exfoliator and my skin immediately began burning and became red and blotchy. I was so disappointed cos I've heard so many good things about this brand. 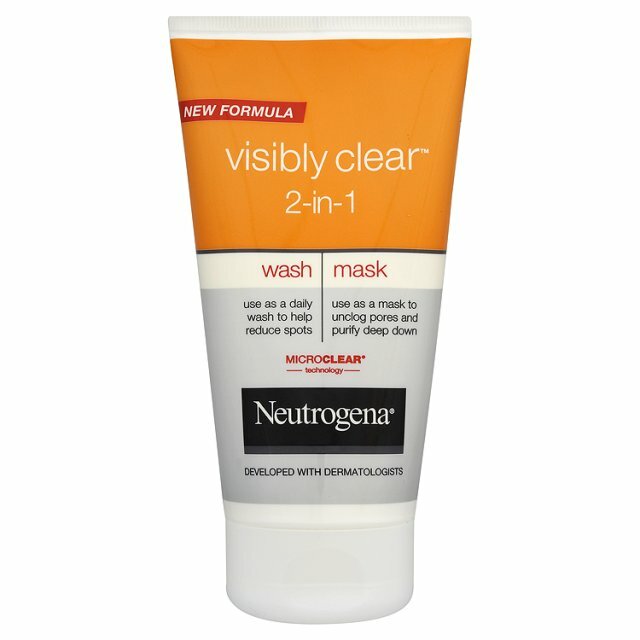 Neutrogena Visibly Clear 2 in 1 Wash and Mask. 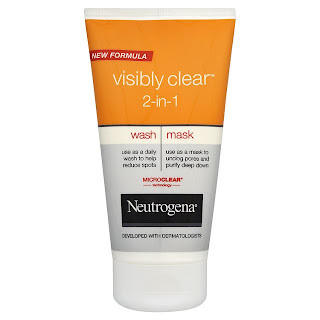 I was a little worried about purchasing Neutrogena again, as I have had problems in the past. 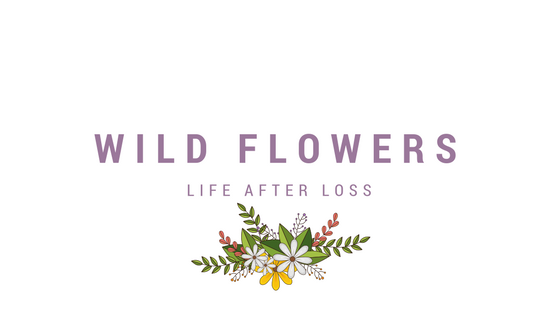 However the product I had problems with is no longer available, so I figured it wasn't only me! But so far so good. The instructions are simple, to use as a wash you wet the face and lather. And to use as a mask you apply to a clean, dry face and leave for 5-10 minutes. I have accidentally only used this as a mask, as I didn't realise how little you need to use it as a wash. For the mask I have literally had to use a 5p sized amount for my whole face. The consistency is thick but doesn't feel like it clogs your pores and leaves you face as soft as a baby's bum! After washing/using the mask I then use Simple Clear Skin Oil Balancing Exfoliation Wash. This is so refreshing. The beads in the exfoliator are really small, so don't cause irritation to sensitive skin. This has Witch Hazel and Zinc in to both reduce spot size and redness, and naturally balance the oil the skin produces. Again, you only use the tiniest amount to cover the whole face and massage GENTLY! This gives my skin a much needed boost. I've only been using these products for two days, so didn't expect to see much change in my skin. I have been pleasantly surprised that the redness has calmed down, however I am still experiencing pimples. Hopefully this routine, followed by my trusty No7 Moisturiser will eventually get my spots at bay and help to clear my skin. I would ideally like something to put directly onto my spots to try and reduce the size, I've heard Liz Earle makes a product called 'Spot-on' which I may have to give a go. Has anyone tried this? I have also given up chocolate bars and sweets for Lent. I'm not religious, but I always give up something for Lent, I guess as a challenge to myself. I figured giving up these would boost my health, if nothing else. Have you given up anything for Lent?